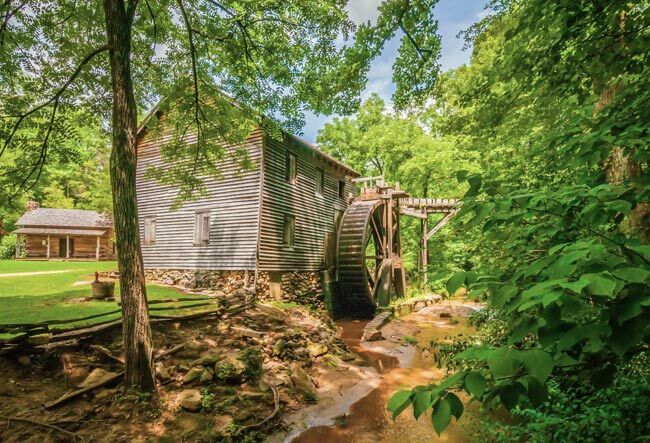 Hagood Mill, managed by the Pickens County Cultural Commission, is an 1845 gristmill and one of the Upstate’s historical and cultural treasures. The site was established prior to 1793 by Bailey Anderson. The creek that powered Anderson’s mill was known as Anderson Mill Creek. William Jennings purchased the mill and surrounding property in 1793 and operated it for 10 years. When Jennings died in 1803, his widow and their son, John, continued running the mill. Mrs. Jennings eventually remarried Joshua Smith in the early 1820s. The mill property was ordered to be sold by the court and enforced by the Pendleton District Sheriff. Sons of Jennings contested the sale and hired a barrister for court proceedings. The Jennings retained some of their property but a majority was sold to a wealthy neighbor, Ben Hagood, who was buying a lot of the property in the area due to an economic recession. The Jennings had sold all of their property by 1825. Once Hagood purchased the property, the creek powering the mill became known as Hagood Branch or Hagood Creek. The property was transferred to Benjamin’s son, James Hagood, in 1845. 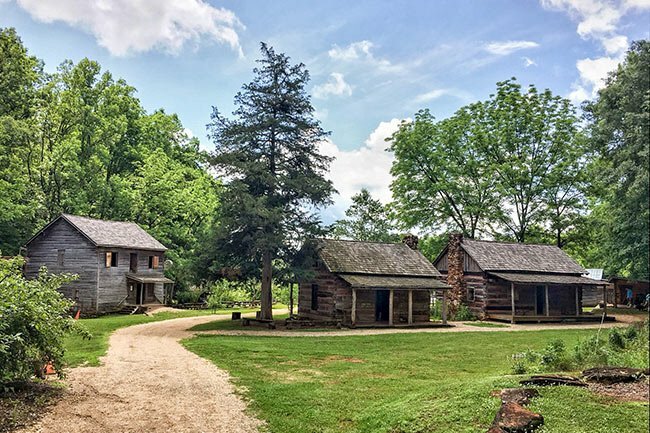 The mill could have been built by James Hagood but it likely could have been designed by a millwright and slave labor used to completely rebuild the mill using hand-hewn logs on a fieldstone foundation. Some pieces of the former mill were thought to have been used in this construction. The Hagood family continued operating the mill on and off for more than 100 years, producing grits, cornmeal, flour, and animal feed. 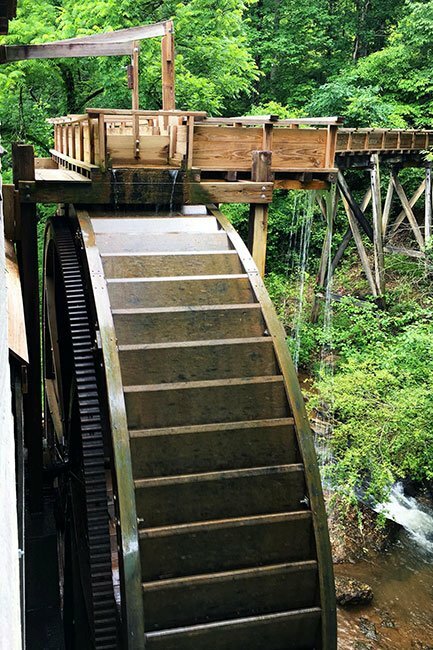 The mill’s waterwheel, which stands 20 feet tall and four feet wide, is among the largest in the state, if not the largest. Based on a 1999 interview with Ben Folger Hagood, who was born in 1925, the mill operated sporadically between 1930-1960 with operations ceasing production in 1960. The property was donated to Pickens County Museum Commission in 1971. 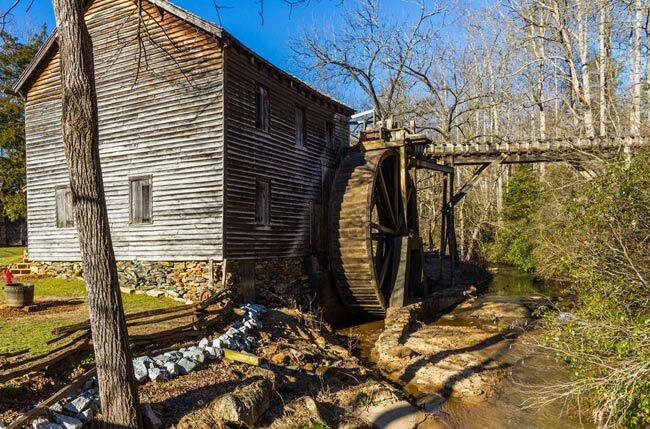 Restoration of the mill began in 1978 with an inoperable waterwheel, and again in the late 1980s with building reinforcement, and finally by 1996 the mill was operational. The waterwheel and sluice (a sliding gate for controlling the flow of water) have been been replaced. The restoration of the mill site included developing the property as a living folklife museum. Mill stones not just from Hagood Mill but other nearby gristmills were collected and displayed on the grounds, as seen below. 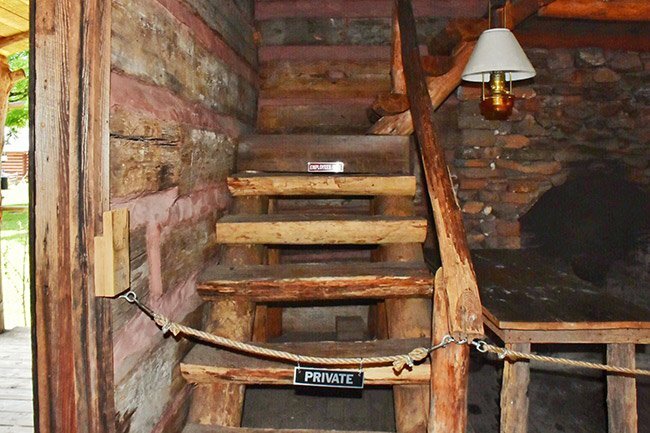 Following the revival of the mill, two historic cabins were relocated to the property and restored, allowing visitors to experience nineteenth century rural Upstate dwellings. The older of the two cabin is called the Murphree-Hollingsworth Cabin. 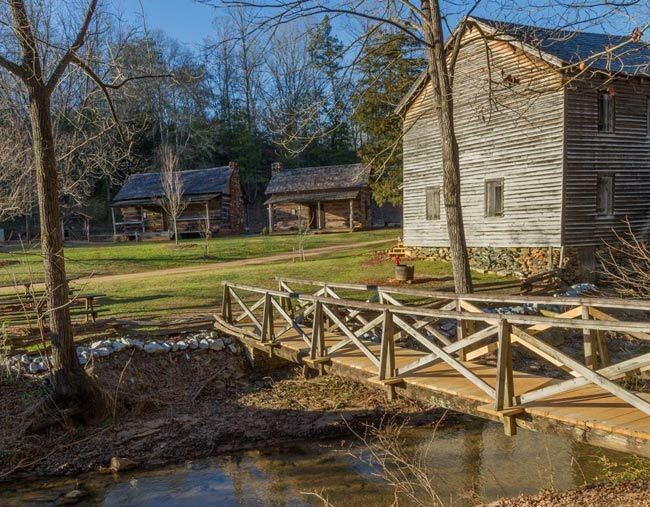 It was built along the Twelve Mile River in Pickens around 1791 for the Reverend William Murphree, pastor of Secona Baptist Church in Pickens. A series of owners followed over the subsequent decades, with Columbus Lafayette Hollingsworth purchasing the cabin and property in 1868. The Hollingsworth family lived in the cabin as they built a larger family estate called Twelve Mile, which burned in 1965. 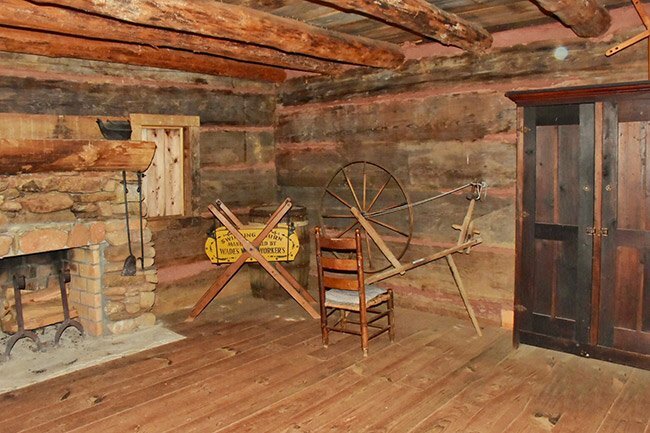 Eventually Hollingsworth descendants donated the cabin to the Pickens County Museum, which relocated it to the Hagood Mill site and restored it. 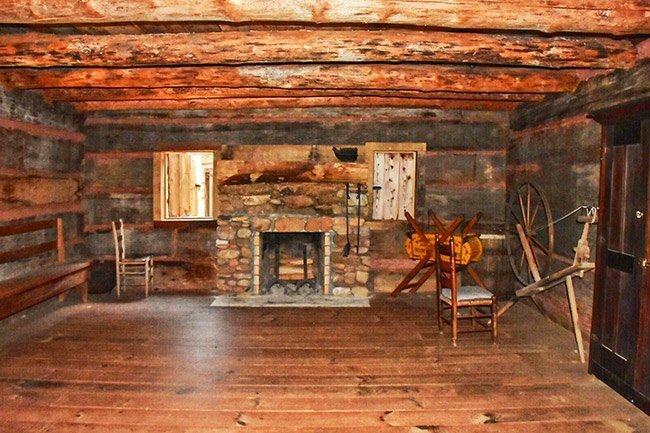 The “newer” cabin was built by Benjamin Hagood for his family some time after he purchased the property in 1825. It originally stood about a half mile from where it now rests and was moved once prior to being relocated to its present spot. 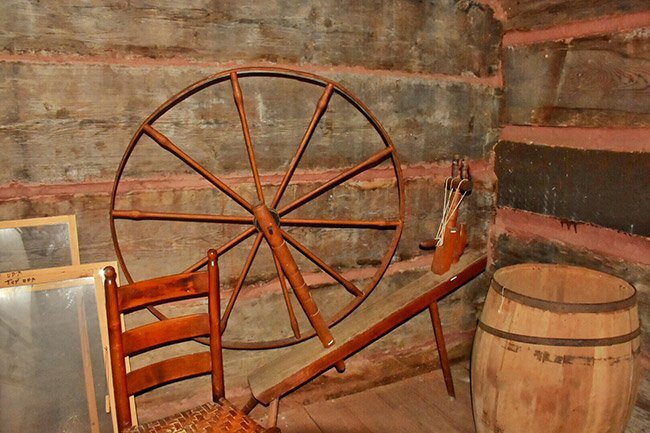 An unusual interior room leads historians to believe that it was built as a store or trading post with a safe place to store inventory. 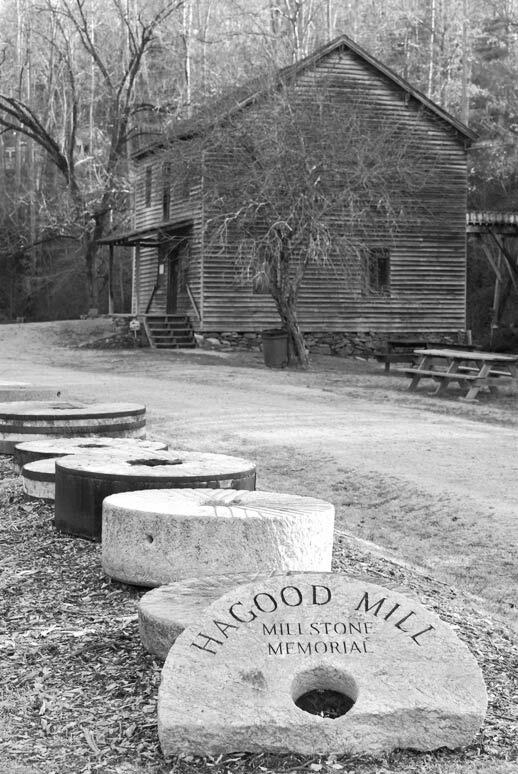 It is known that Hagood did operate a store at his mill complex, which was a popular community gathering spot. In 1960 the cabin was moved from its original location to the rear of property owned by Harold Davis. Davis’s son, Billy, had offered the cabin’s owner, W.E. Findley, $60 if he could disassemble the structure and rebuild it at his home. The offer was accepted, and the Davises rebuilt the historic cabin, where it stood until 2001. 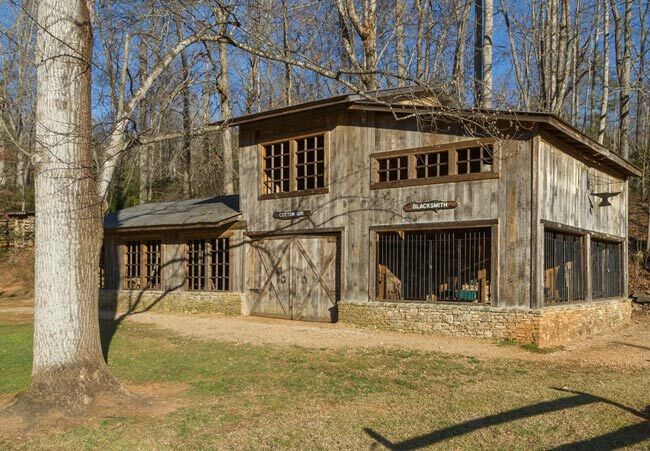 When the Davis property was sold in 2001, the log structure was purchased at auction by Dr.Larry Brotherton of nearby Easley. After briefly using the cabin for storing timber, in 2003 he donated it to the Hagood Mill Historic Site to be restored. 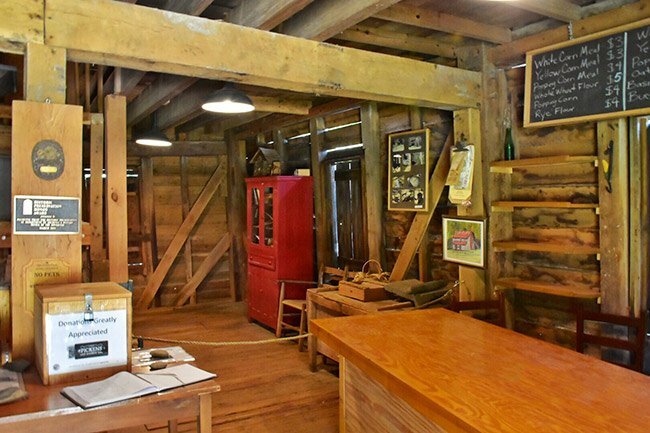 The Hagood Mill Historic Site continues adding relevant exhibits to the site, creating a popular historic attraction in this rustic corner of the Upstate. A reproduction blacksmith shop and cotton gin were erected on the grounds, seen above, replicating the vibrancy of a rural nineteenth century mill village. 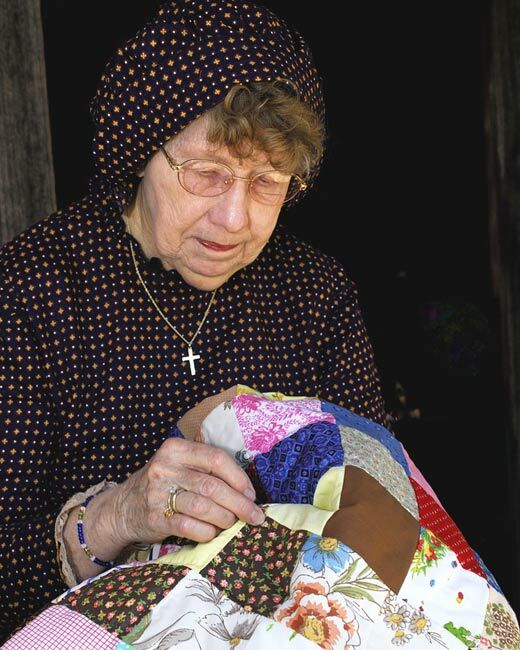 Interpreters are on hand to demonstrate not just milling – the ground goods are also for sale – but also other artisan trades and crafts practiced at the time, such as blacksmithing and quilting. The mill is open to visitors from Wednesday through Saturday for tours and demonstrations, but the site’s biggest draw is its Saturday events. On those days, up to 2,000 visitors may descend upon the grounds for a day of music and folk art. The festival-like events also draw many musicians, from traditional string bands to blues to gospel. 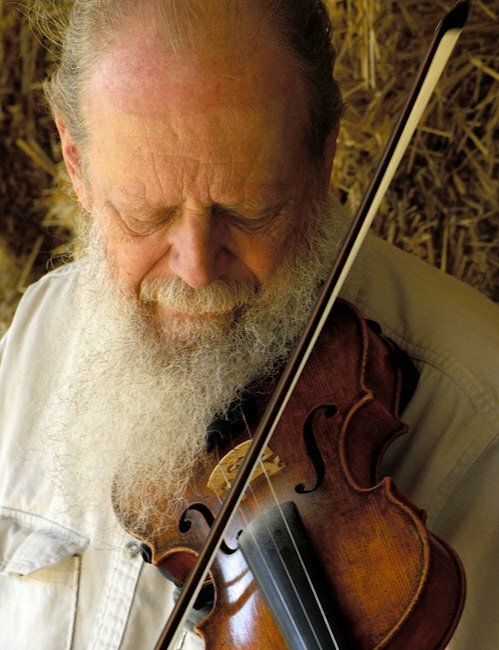 Noted pickers such as Nick Hallman – pictured below – regularly entertain people with their traditional bluegrass sound. The mill grinds every third Saturday, all year long. 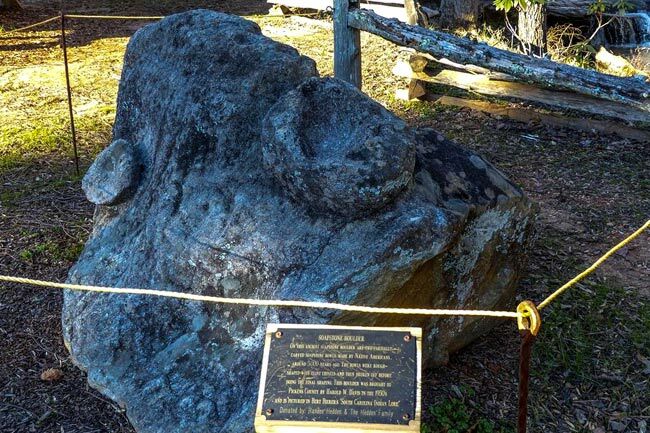 Another interesting feature of the Hagood Mill Historic Site is the soapstone boulder sitting on the grounds, seen below. On the ancient rock are two bowls, carved by Native Americans 5,000 years ago. They were crudely shaped with flint chisels and broken off before being shaped. The boulder was brought to the area in the 1950s by Harold David. 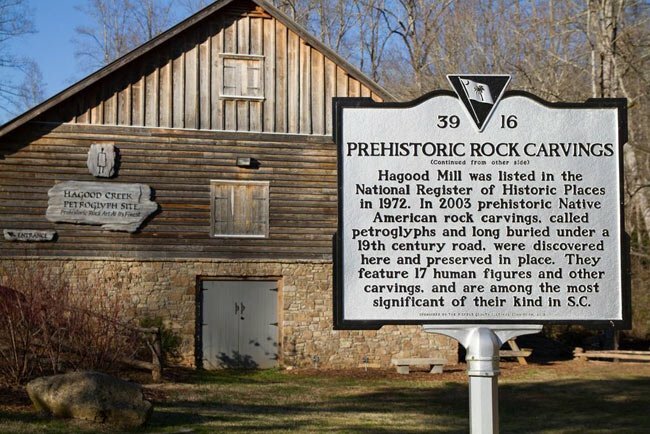 The newest addition to the Hagood Mill Historic Site is a collection of petroglyphs, or Native American rock carvings, found on the site in 2003 and thought to be 1,000 year old. They were discovered by Dennis Chastain and Mike Bramlett, locals who were searching for such artifacts and struck historic gold. The first finding was a 30-foot-rock with a carving of a human figure, the first rock carving depicting a human figure discovered in South Carolina. Twelve years after the discovery of that petroglyph and 31 others, the rocks are finally on display within a special building designed for viewing the ancient carvings. TThe building rests on the location where the petroglyphs were found. Features of the building include special lighting which helps visitors view the hard-to-see carvings and an audio program that explains the petroglyphs and their designs. Of the 32 petroglpyhs on display, 17 depict human forms, including the “Refrigerator Man,” a stick figure with a rectangular body nicknamed due to its shape. A replica of Refrigerator Man can be seen on the building in the above photo. 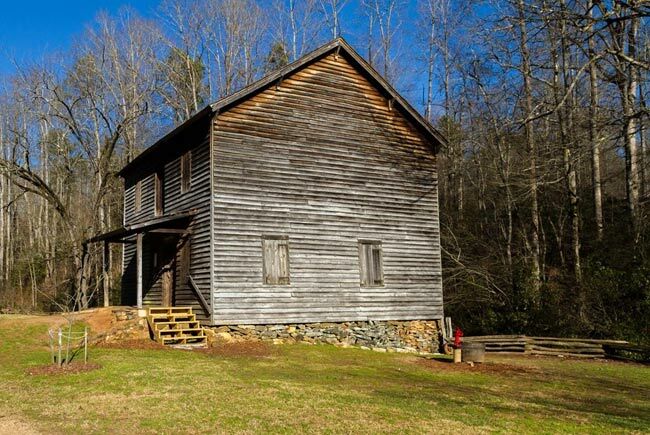 Hagood Mill is a good example of the simple, functional building style employed by South Carolina upcountry pioneers in the first half of the nineteenth century. 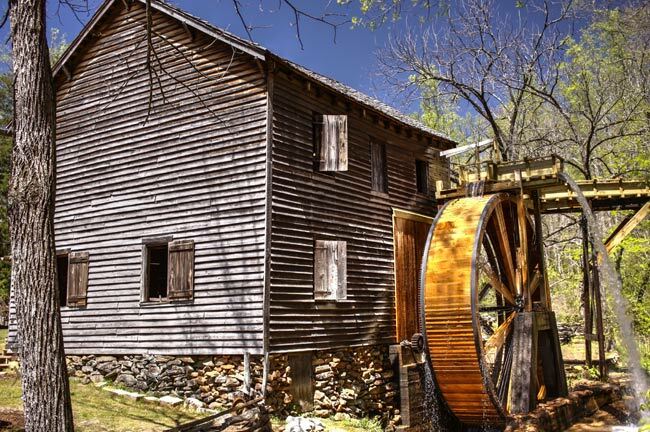 The gristmill and wooden water wheel remain as originally constructed with no alterations or additions and is one of the few such mills still in existence in South Carolina. Built in ca. 1826, the mill is an unpainted, two-story clapboard building mounted on a fieldstone foundation. 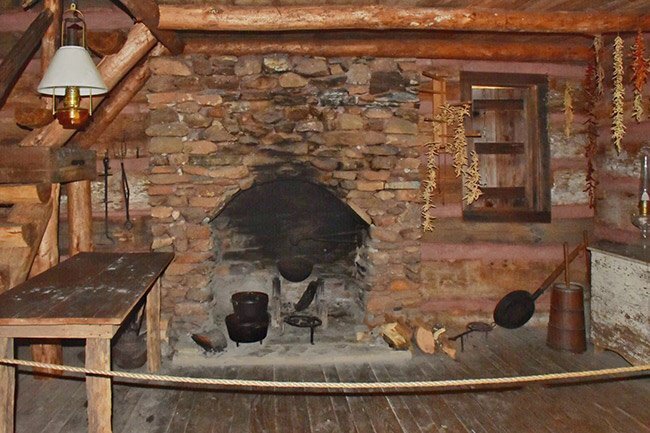 Early construction methods are evidenced by hand hewn logs notched and pegged together to form the framework. Hagood Mill was built by James E. Hagood who served as clerk of court for Pickens District for many years. The mill was once part of an early commercial complex including the Hagood Store which no longer exists. Both mill and store were gathering places for residents of the surrounding agricultural area who came here frequently to have grain ground into flour and grist and to purchase supplies. Hello Reed, thank you so much for providing such a detailed comment. Feedback like this is invaluable and we have gotten the text updated with your information, we cannot thank you enough! I am the current miller at Hagood Mill. A little clarification on mill history as printed above. First off, this is the most accurate version of mill history I’ve seen produced. The variations are incredible. That said, here’s a couple of items. 1. We do not know when the Jennings acquired the mill. I have a February 1793 land conveyance showing Anderson’s Mill Creek. That tells me the mill was there in 1792 if not before. 2. Joshua Smith did not try to sell the property with it being contested by John Jennings. The property was ordered to be sold by the court and the Sheriff of the Pendleton District enforced that order. The Jennings sons contested the sale and hired a barrister for the court proceedings. Ben Hagood, very wealthy and living a couple of miles away, bought some of the property. The Jennings retained some, but by 1825, had sold that as well. I have copies of conveyances based on the court ordered sale of the property. There was a depression or severe recession about 1819. This may have caused debts to be accrued and the court ordered sale. Hagood was buying everything in sight at this time since people were forced to sell their property for debts. 3. The son, James Hagood was 19 in 1845. He may indeed have had the mill built, but it is likely a millwright was hired and slave labor used to build the existing mill. Some of the wooden members do not match the majority of other members, so those may have be reused from the Anderson / Jennings Mill. 4. Based on an interview in 1999 with Ben Folger Hagood who was born in 1925 and went to the mill as a child, the operation of the mill was sporadic from about 1930 on till about 1960. His recollection is that the mill stopped operation before 1960, but we use 1960 as the year based on this source. I have transcripts of this interview. 5. 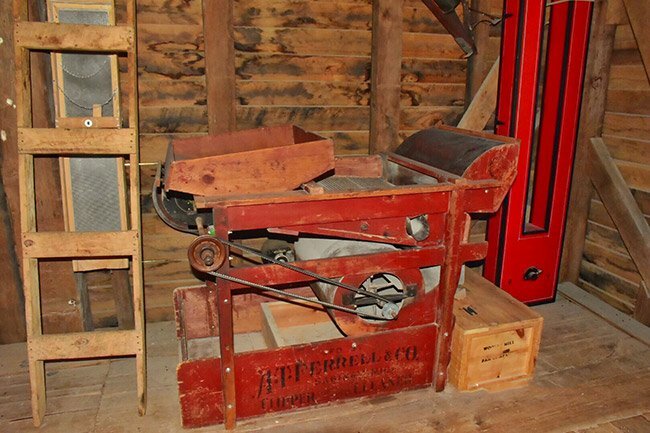 Restoration has been in fits and starts beginning in 1978 (waterwheel – not operable). Again in late 1980’s (building reinforcement) and finally in 1996 made operational. Volunteers have done the majority of the work. Something is always being fixed as this is a working mill. 6. The waterwheel and sluice have been replaced. 7. I will see if I have anything on L.C. Pace. I do remember reading there was a single miller operating both Meece and Hagood Mill. 8. We grind all year on 3rd Saturdays. 9. There is pressure for the site to make money. People who want the site to remain mostly undeveloped and be a place for education and interpretation of folk ways and history need to speak out loudly and often. The site belongs to the people of Pickens County. It would be a shame if a few individuals in government direct the site to veer from what the people want. I’ve always heard that my Grandfather ran Hagood Mill for awhile? I’m not sure what year or years he did or if he did, but it seem what I can remember I was maybe three or four years old and now I’m 70, I do know for sure he ran Meese’s Mill and my uncle ran the store there, My uncle might have ran the store at Hagood also, My Grandfathers name was L.C Pace and my uncle was Howard Pace. If you have any info about this please respond to me, Thanks for your help. I really love this place, but kinda of fear that maybe TOO much may be added to it. It would be a shame to turn it into another “Dollywood” just to make a few bucks. We live out in the countryside and must pass it every time we go to and from town. It always looked so pristine; much like driving through a long ago place in time. We hate to see that change. Seems like that amphitheater in town could do the job of providing a place to entertain tourists. With all this “development” comes more cars, more traffic, more noise, etc. I dread having to get to town (or anywhere else) when the mill has some big (and likely more frequent), music event going on. 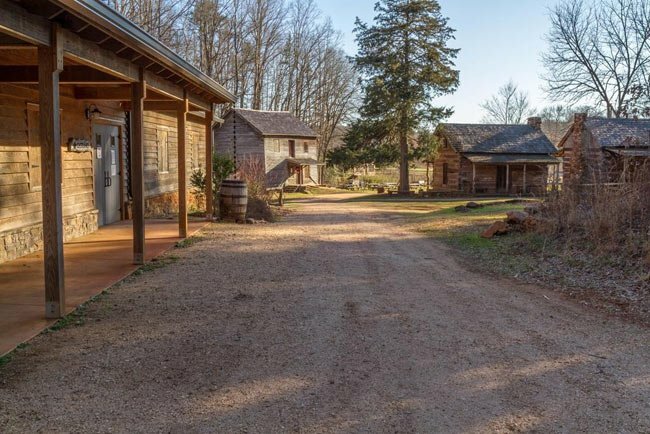 I guess we’ll just have to go well out of our way to avoid all the frenzy and human congestion, now… Oh, well… I guess big city tourist commercialism has found Pickens at last… So sad… Gonna really miss that beautiful, quiet, historic country road. We visited the Hagood Mill a couple of years ago. My great grandfather use to work at the mill. While there we bought some of the wonderful tasty grits. We would like to have get some more and wondered if we could order on line somewhere? We live in Colorado and can’t get back this year. Thank you.